We did it! We did it! 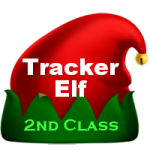 The tracker elf recruiting goal for Christmas 2018 has been met! 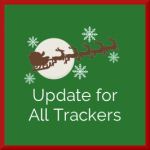 As of late last night we tally 6,086,590 new tracker elves signed up this year to track Santa for Santa. 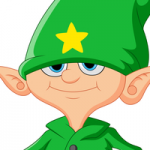 That makes our total tally of tracker elves around the world 12,574,964! Santa is quite the planner. When he set this goal early in October I had my doubts. But looking at the numbers now and seeing how this can help him get around the world tonight is just brilliant. Santa is SO smart. What a great time it has been already. I’ve never see information like this flow into the North Pole. Santa hasn’t even launched yet but he is so ready. I just know it is going to be a great ride. Thank you for your efforts! And keep those great reports coming in! Roger is an experienced sleigh pilot, designer and flight engineer who has worked the past 42 years as a flight supervisor in the Tracking Department at the North Pole. Previous to that Roger served as a designer in the Research and Development Department during the crucial years of 1947-1974, an era known for breakout designs in Santa’s sleigh that broke long standing speed records. Roger was the lead designer of Santa’s 1968 sleigh, famous for surviving a brutal blizzard in Bavaria.